As Microsoft Corp prepares to show the world what its new Windows 8 can do on the next generation of high-powered tablets, initial reviews of the new operating system on existing hardware underscore the challenges the company faces with the radical redesign of its flagship product. The world’s largest software company says millions of people are already using a downloaded pre-release version of Windows 8 on PCs, laptops and touch-devices ahead of its full introduction this autumn. At a media event in Los Angeles on Monday, the company is expected to discuss its plans to take on Apple Inc’s all-conquering iPad this holiday shopping season. 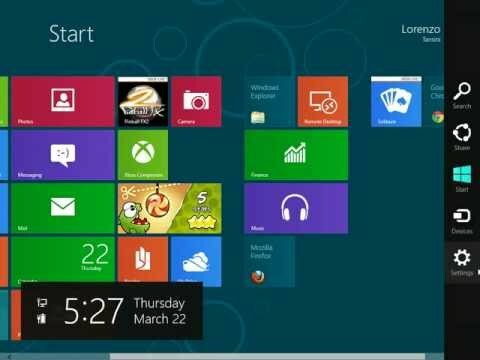 So far, most reviewers have praised the look and feel of the touch-friendly “Metro” style of Windows 8, which is based on colorful squares, or “tiles,” that depict applications such as email, and update in real time. But they have also stressed how difficult it will be for users to move away from what they know and trust. “It’s a bit of a struggle for people who are deliberately oriented on a PC, that are used to a mouse feel,” said former Microsoft strategist Al Hilwa. Now an analyst at tech research firm IDC, Hilwa has been trying out the latest demo release for two weeks. “Without a touchscreen, I struggled with a mouse to do certain things,” he said. The new Metro interface only runs programs written for it, so users have to switch back to the traditional desktop to do certain tasks, like listening to music on Apple’s iTunes. The latest test version is not yet finished software. And outside of a few industry testers, no one has tried out Windows 8 on a tablet powered by ultra-efficient ARM Holdings chips, which is the closest Microsoft will come to challenging the iPad. Microsoft is expected to say more about that on Monday, and there is talk that it might introduce a tablet under its own brand name. The company declined to comment on the reaction to the new system and its plans for the Monday event. Nevertheless, Microsoft has not persuaded some of its most loyal users just yet. “Right now, I’m not sold,” said analyst Michael Cherry of Directions on Microsoft, an independent research firm that focuses on the tech giant. A former Microsoft program manager, Cherry worries that the initial complexity of the new system will prevent it from being an instant hit, like its predecessor, Windows 7. Mainstream tech reviewers like the Wall Street Journal’s Walt Mossberg or the New York Times’ David Pogue have not yet weighed in on the third and latest “preview” of Windows 8, which became publicly available online on May 31. The smattering of reviews on tech-centric blogs have generally praised the new look of Windows 8, but almost every one has stressed how difficult users will find the switch. “I’ve felt almost totally at sea – confused, paralyzed, angry, and ultimately resigned to the pain of having to alter the way I do most of my work,” wrote Farhad Manjoo, technology columnist at online journal Slate, even as he acknowledged that there is a lot to love about Windows 8. “Bottom line, I’ve spent the past day feeling lost, and a little grumpy,” wrote GeekWire’s Todd Bishop, who has followed the software company as a reporter for more than a decade. “Microsoft likes to use the words ‘fast and fluid’ to describe Windows 8, but two other words keep popping to my mind: ‘New Coke,'” wrote Bishop, referring to Coca-Cola Co’s short-lived attempt to reinvent its core product in the 1980s. ZDNet reviewer Ed Bott, a previous skeptic of Windows 8, liked the “rich and polished collection of Metro-style apps,” and was the only high-profile reviewer with a wholly positive reaction. To be sure, any great change to a system used by more than 1 billion people every day is bound to meet with resistance. Microsoft’s Vista operating system got off to a terrible start in early 2007 due to its heavy memory demands and finicky security settings, but recovered somewhat in later updates. Almost three years later, its successor, Windows 7, became the company’s fastest-selling system to date, and has now racked up more than 500 million sales. But Apple’s intuitive iOS mobile system has raised expectations, both for aesthetics and ease of use. 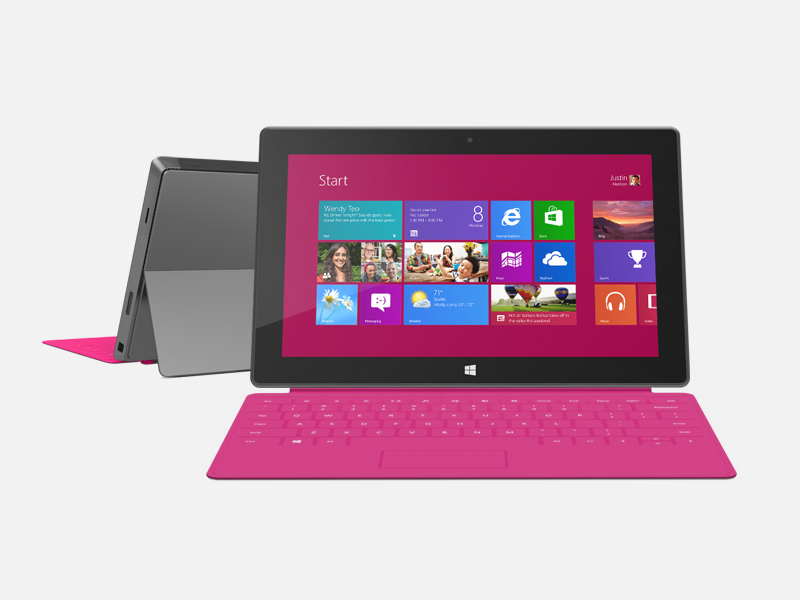 Individual consumers and potential iPad buyers, rather than corporate customers, are the primary target for the Windows 8. Many big companies are still in the process of spending millions of dollars upgrading to Windows 7. The success of the software will depend in part on the quality and price of machines running Windows 8, which is in the hands of PC makers such as Hewlett-Packard Co, Samsung Electronics, Lenovo Group and Acer Inc . But even if the machines are slick, Microsoft’s online Windows Store is still no match for Apple’s App Store, and will probably take several years to build momentum, which in turn removes incentives to buy tablets running the new Windows.